I’m Asian, I Can Be A Stereotype…NOT A “Costume”!!! I went to my friend’s birthday dinner this past weekend. One of our discussions was about her company’s upcoming Halloween “Theme”. Normally you hear themed costume, you think of Disney Characters, Presidents, Animals, etc. Their bright idea was for everyone to dress like Chinese people, WHAT?!?!? The question of the night was do I and all the other Asians (sorry Yvonne, you are Mexican, your vote doesn’t count) find this offensive. My answer was a no, but it’s still wrong not because you are dressed that way, I’m offended that you are using it as a Halloween costume. I’m sorry, but me being Chinese is not a costume, I can’t take this off! I’m not sure how this got past their human resources department, but the S@#* will hit the fan if just one person lawyers up. This entry was posted on October 20, 2008 at 10:40 AM	and is filed under Rants. You can follow any responses to this entry through the RSS 2.0 feed. You can leave a response, or trackback from your own site. 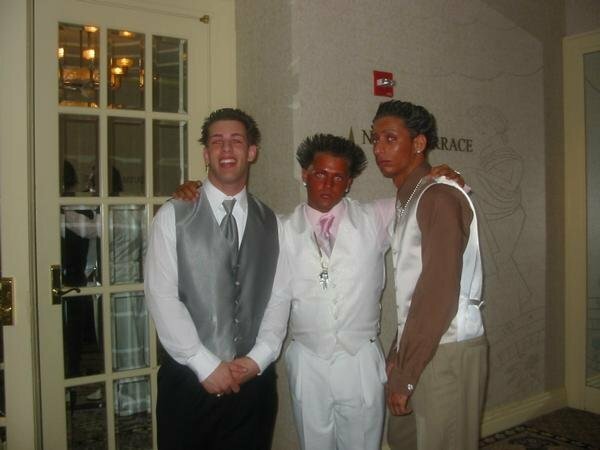 But on the other hand, I actually thought about being a ‘guido’ for Halloween. Spray on tan, spiked gel’ed hair, and that undeserved look of self-accomplishment combined with flashy clothes. Many could argue that being a ‘guido’ isn’t a costume.